The iPad is a great tool for those interested in the science of astronomy. 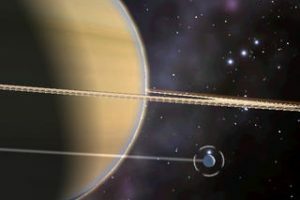 Whether you are interested in exploring the stars or just want to find out more information about our own solar system, iPad astronomy apps have you covered. 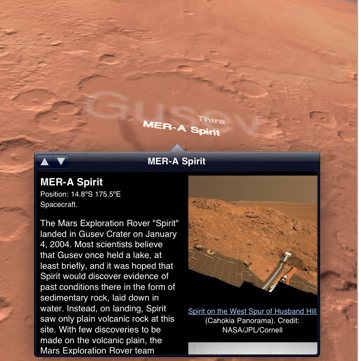 Mars HD is cool astronomy application that lets you explore the red planet to your heart’s desire. It provides you with a virtual tour of the planet and gets you familiar with some of the most intriguing aspects of this amazing object. There has been a lot of talk about NASA going to Mars in the future (or not going). Regardless, the red planet is still one of the most intriguing planets in our solar system. 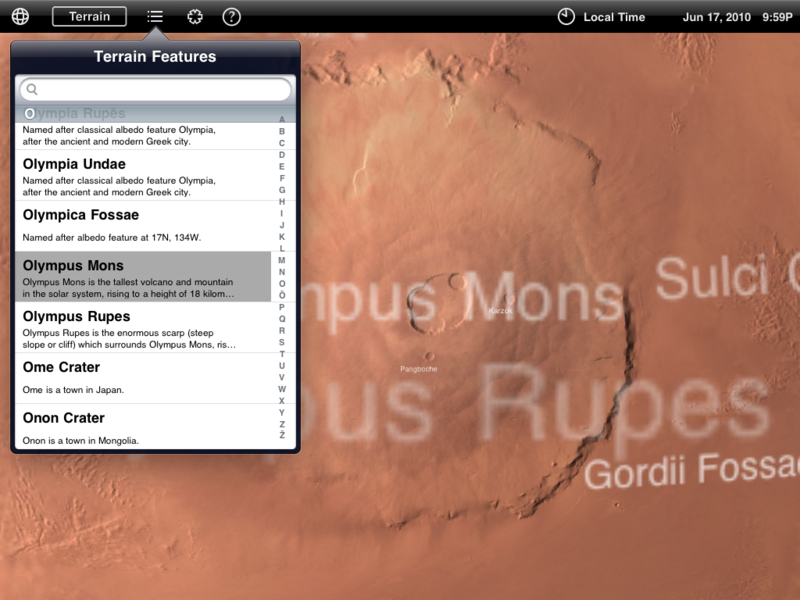 Mars HD let you explore the planet in a very high quality. 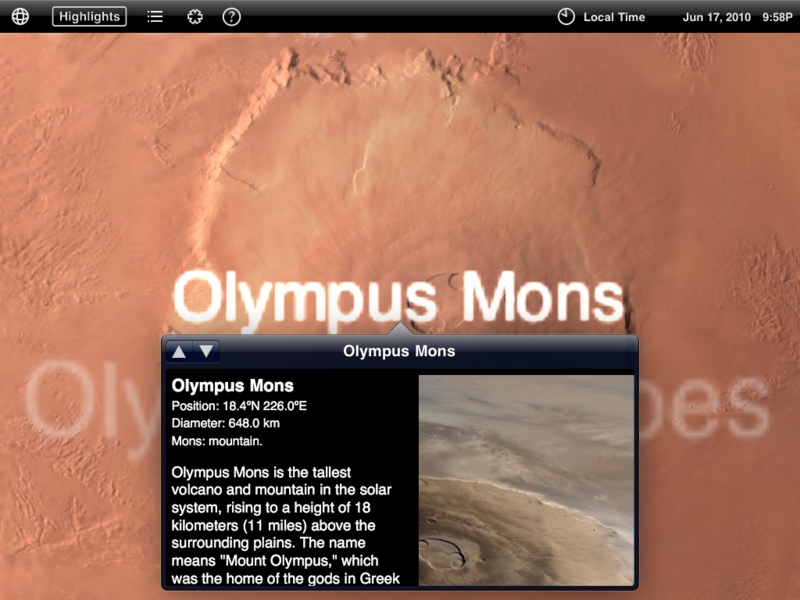 It has a high resolution map and guided tour functionality to help you find out more about different parts of the planet. 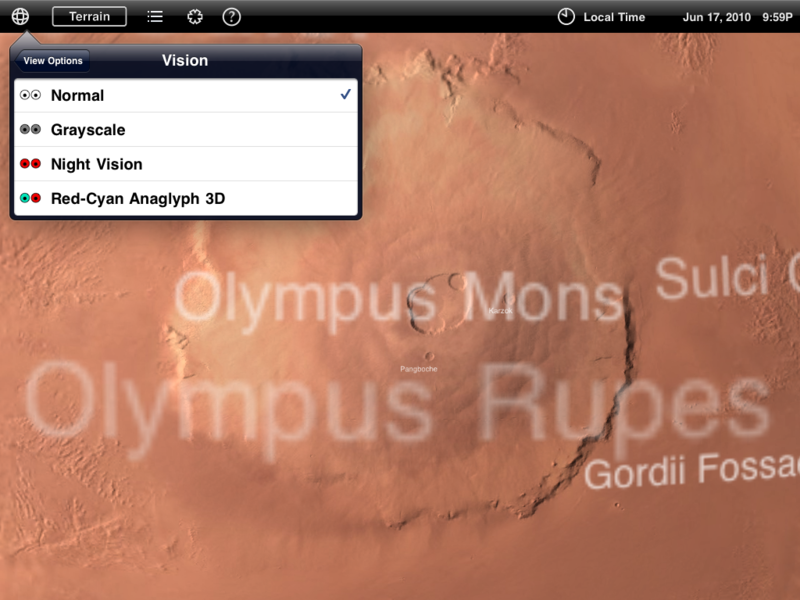 It has 4 vision options that give you more ways to explore your virtual Mars. If you are not into Guided Tour, you can always go through the 1500 surface features that are covered in this app. The quality of some of the images in this app are just breath-taking. The information provided is very powerful. 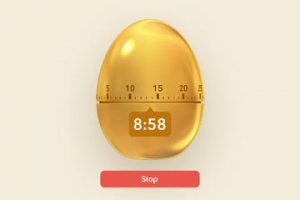 I like the fact that you can change the vision, date, and local time in this app. The search feature is a plus too as long as you know what you are searching for. Mars is a special place in our solar system. While many of us won’t get to see Mars in person, you can use apps such as Mars HD to learn as much as you can about this object. The app does take a bit of space and take a bit to download but with the quality of material you are going, that is to be expected. A must have for all Mars fans.